Are humans as valuable as animals? 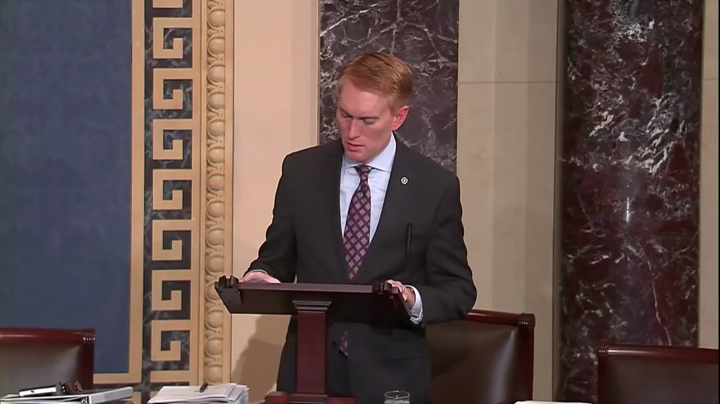 On July 16, 2015 Senator Lankford (R-OK) spoke on the Senate floor regarding a video exposing the fact that Planned Parenthood harvests and sells/donates aborted baby body parts and organs. Prompting the vote was the release of disturbing videos from pro-life activists that show Planned Parenthood executives negotiating with undercover agents posing as business people trying to buy aborted fetal body parts for research. But the graphic images of fetal body parts being poked in Petri dishes – including one staffer exclaiming, “Another boy!” – spilled over into the Senate floor debate. But Democrats and the White House defended the organization as a vital provider of women’s health services such as annual exams, contraception and cancer screenings. Republicans say the taxpayer funding of Planned Parenthood should be given instead to other women’s health clinics and medical facilities. Sen. Elizabeth Warren (D-Mass.) called the effort at de-funding a “right-wing attack” to take away a woman’s right to control her own body. “Women everywhere are sick and tired of it,” Warren said. After an impassioned floor speech from Sen. James Lankford (R-Okla.) on valuing human life and childbirth, Sen. Barbara Boxer chimed in. “I gave birth to two premature kids and I just don’t like lectures by men about what it’s like,” Boxer (D-Calif.) said. While Planned Parenthood’s funding survived another day, the real fight could come when the House returns from August recess and must pass budget bills to keep the government open. House conservatives are threatening to tie Planned Parenthood de-funding to spending bills. Critics of the videos oppose the pro-life organization’s method of making an undercover video of the Planned Parenthood executives. Animal rights groups use the same method for filming treatment of animals (e.g. chickens). Is taking an undercover video as an attempt to reveal the truth to the public right or wrong? Explain your answer.